One of the fun things about growing up in Texas is the mixture of European and Mexican traditions into our own local culture. 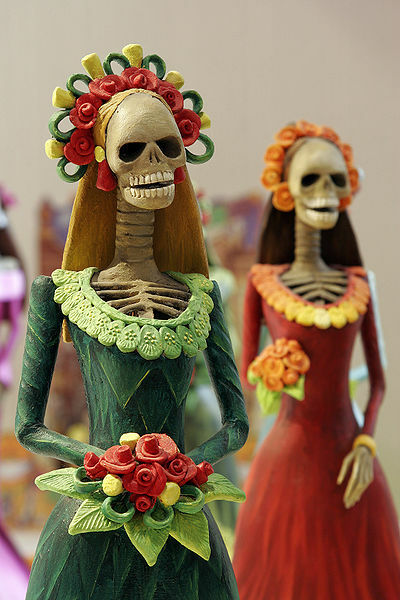 One of the most fun examples of this is the Mexican celebration of Día de los Muertos or the day of the the dead, celebrated on November 1st. This is a celebration of when death meets life. 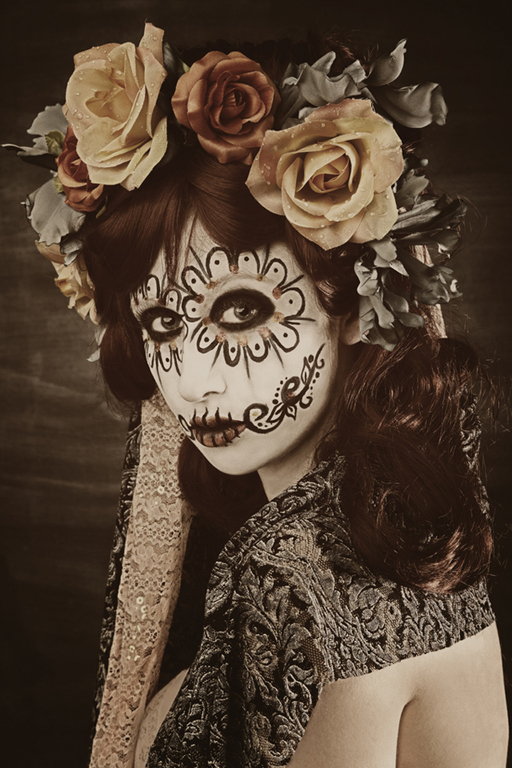 It’s origins steeped in ancient Aztec ritualism, it is a day to honor ancestors who have passed on, as well as show Death that no one is afraid to die. 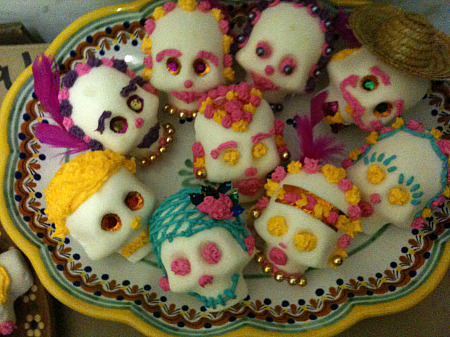 Celebrants visit the cemetery where their loved ones are buried; decorating grave sites with marigold flowers, sugar skulls, and candles. They bring toys for dead children and bottles of tequila to adults. They sit on picnic blankets next to grave sites and eat the favorite food of their loved ones. Many cities hold festivals with festivals with traditional foods and costumed dancing encouraging the mocking of Death. I love the designs, the traditions and the costumes all associated with this amazing day.